Re-sealable vacuum bags can be used multiple times for a variety of purposes. We manufacture these bags in wide range of sizes to cater to the varying needs of our customers. If you're looking for the perfect reusable product storage option, get these reclosable vacuum bags that are extremely multi-purpose. The plain, clear plastic body makes it easy to keep an eye on the contents. Crafted from high quality nylon, these reclosable vacuum bags are perfect for use with any vacuum sealer. 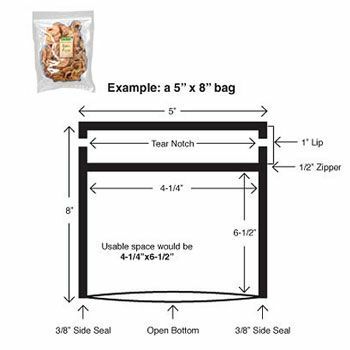 Available in a wide range of sizes, these bags are safe for use and made in accordance with USDA and FDA rules and regulations. Perfect for packaging and product storage, you can get a custom size with custom printing as well with us. Keep food products fresh and safe with reclosable vacuum bags. Enjoy multi-purpose storage options with the help of these FDA and USDA approved nylon flat pouches.